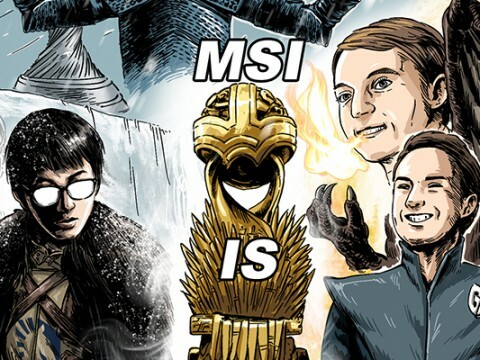 As there is no way to really know how the meta will shape up in a few months, the InvenGlobal team decided to give their two-cents on cards that may be getting a little too much praise and a few that are not getting nearly enough. At first, I scrolled by this card without even considering it an underrated card, and not because it immediately was obvious to me that this card was strong. On the contrary, between all the outrageous-seeming effects, Rocket Boots seemed dull. But then I scrolled through my Warrior card collection, and my eye fell on Slam, the two Mana spell that deals two damage to a minion and draws you a card if the targeted minion doesn’t die. Now compare that to Rocket Boots. 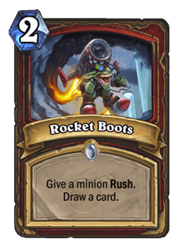 Sure, you’ll have to play a minion upfront to get the draw effect but Rush has proven itself to be an extremely potent mechanic, capable of swinging the board by launching your minions at your opponents’. The combination of card draw and Rush in a single card should definitely not be underestimated. I’ll admit that I’m a bit biased calling this card one of the underrated ones. Truth is, I think Prismatic Lens is one of the most interesting cards of The Boomsday Project. That doesn’t take away its massive potential though. 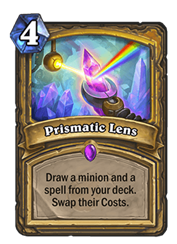 I see Prismatic Lens being of most use in the slower Paladin lists, the lists that can take the time to spend four Mana to draw two cards. Don’t forget that Druids run Branching Paths, perhaps one of the most powerful cards in the game at the moment, often choosing the draw option twice. I don’t have the illusion that Prismatic Lens will be equally as powerful as Branching Paths, but the targeted draw the card offers can be very skill-testing and skill-rewarding. 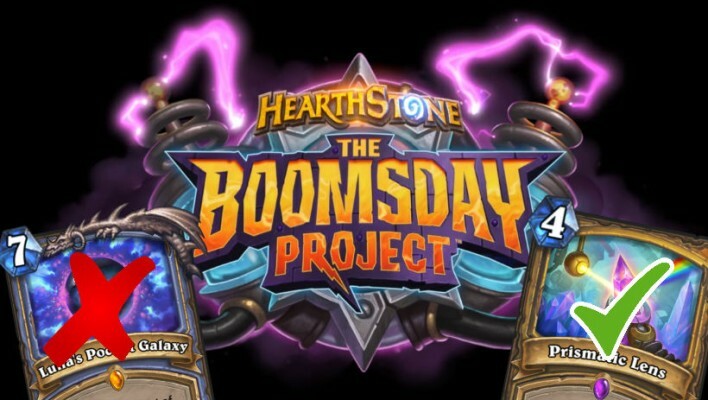 Once the final card reveal stream ended, the rest of the cards in The BoomsDay Project were casually dumped onto Hearthstone’s Facebook page. Generally reserved for the filler and less exciting cards of the set, one caught my eye. 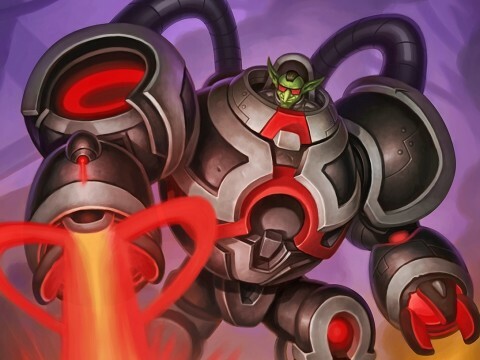 Topsy Turvy, in my opinion, has quite a bit of potential as it slides into a deck archetype that has occurred throughout the history of the game in one fashion or another. 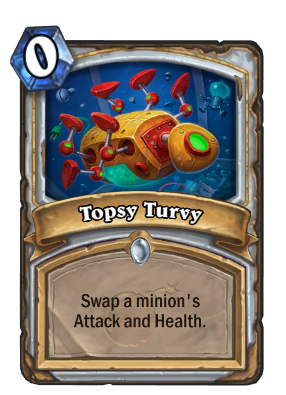 Formerly called “Inner Fire Priest,” Topsy Turvey functions very similarly to Inner Fire in that deck minus the cost of Mana. 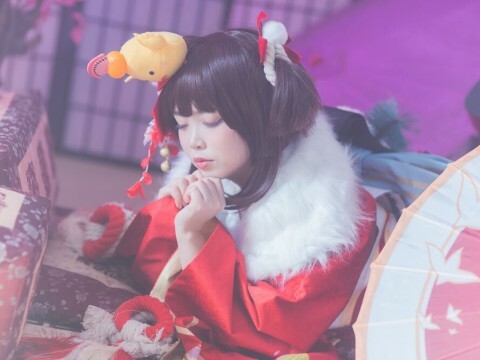 In past versions, you buff a minion’s Health stat to outrageous levels through numerous Divine Spirits, Power Word: Shields, etc., then you simply Inner Fire the minion to have the Attack match the Health and one-shot your opponent with your large minion. An issue the deck would encounter in the past would be an overreliance on waiting to draw Inner Fire to end the game. With another card (or two) in the deck that can speed up the one-shot process while dodging the forever-lurking Skulking Geist, the deck can become more consistent. 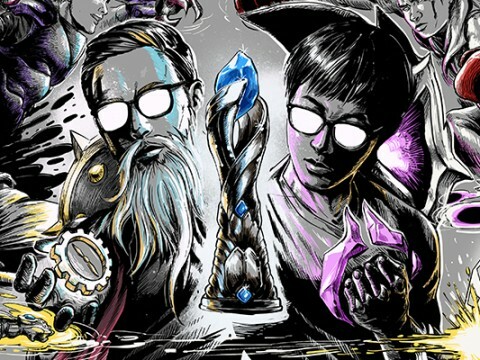 An additional factor is that the current meta is quite slow and while that doesn’t necessarily mean that will be the case in a few weeks or months, it does mean Priest has an increased chance to assemble all combo pieces, including Topsy Turvy. 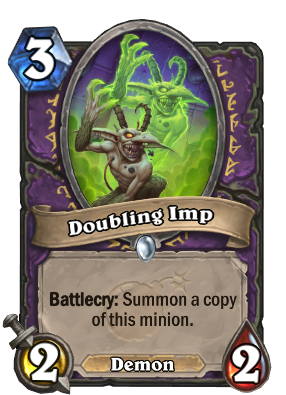 Speaking of a deck that has gone through dozens of iterations since the game first launched, Zoo Warlock gets a new toy with the addition of Doubling Imp. Currently, a tier-1 deck, Zoo Warlock excels at value trading minions, pushing damage and maximizing the strength of Life Tap. Doubling Imps should slide in quite nicely to that deck for a few reasons. First, a three Mana 4/4 worth of stats is powerful. 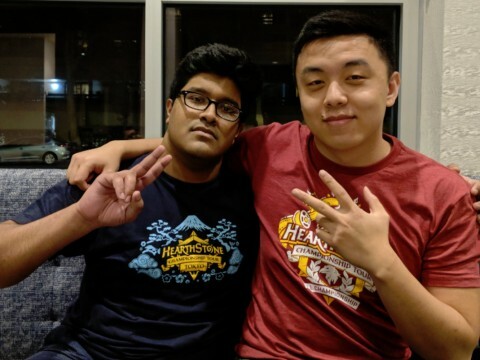 The fact that it is across two minions is even more impactful as the ability to clean up pesky one-drops, trade up into larger minions and control the board through the card’s stickiness is exactly what the deck relies upon. Additionally, Warlock received the tool “Soul Infusion” which, if it lands on Doubling Imp, is four Mana 8/8 worth of stats and, if it hits in the early game, the snowball potential is immensely high. Another new card, Void Analyst, also can buff the Imps in your hand. The potential for this card to control the early game, receive buffs both in your hand and on the field, as well as naturally fitting into an existing tier-1 archetype, it’s a shame this card isn’t being talked about more. 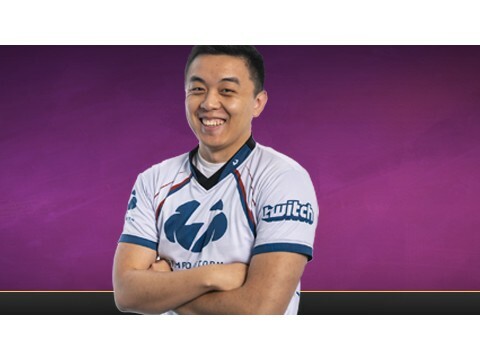 In terms of meta predictions, the Boomsday expansion is slated to become an exact copy of Knights of the Frozen Throne. Already powerful archetypes of the class – mainly Malygos Druid – are receiving buffs that seem to launch the class into orbit. Initially, I thought Gloop Sprayer would fit in there too, but now I think the card will simply be too slow. The general idea behind Druid decks shouldn’t change too much, in that it ramps towards insanely powerful cards. And once those cards hit the board, chances are your opponent will do everything to remove them as soon as possible, leaving you with relatively bad targets for Gloop Sprayer. 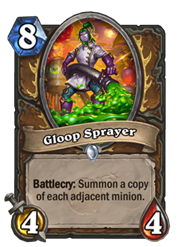 So no, I don’t think Gloop Sprayer is a bad card, but I think it will clog the archetypes people want to play it in. 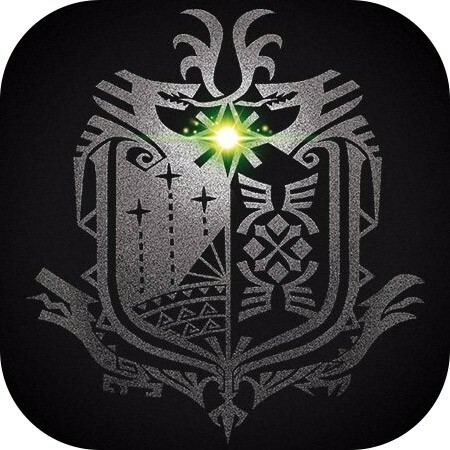 Now listen, I like crazy cards and animations as much as the next person in line. 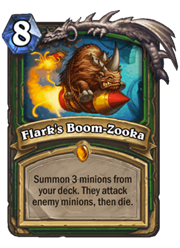 And boy does Flark’s Boom-Zooka look like one of the most fun cards in the expansion. I just don’t see it working. Flark’s Boom-Zooka is a lot like Call of the Wild, but far more inconsistent. There are specific Deathrattle cards that this would work amazingly well with, yes. At eight Mana, however, you need something that is impactful and can be impactful with consistency. I fear that, more often than not, Flark’s Boom-Zooka will cause a dead turn and not the one that has fancy Deathrattles attached to it. 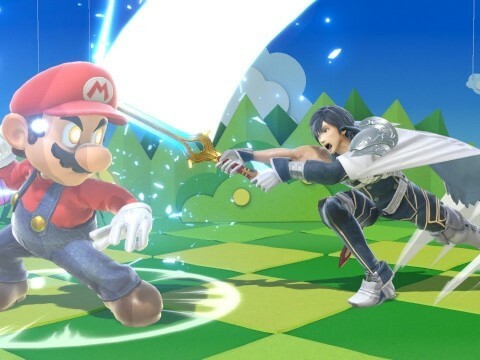 Again, 10/10 fun concept though. At face value, this card is impressive and brings quite a bit of value towards a class where a minion archetype has been pushed as of late. 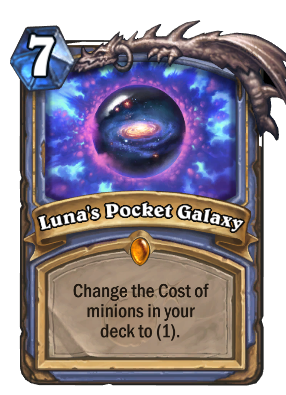 For an up-front cost of seven Mana, the ability for the rest of your minions to be played for one Mana throughout the game, regardless of size, is a fair price. 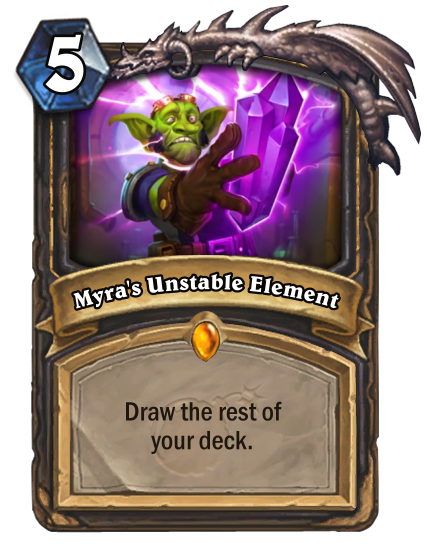 There are a couple drawbacks as why I think this card will have a difficult time keeping up with the rest of the popular Mage decks. Paying seven Mana to essentially do nothing is extremely costly. 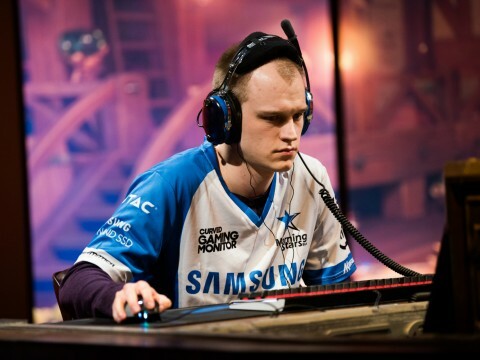 In a Tempo Mage deck, that’s the last thing you want to do. In an OTK-Spell deck, there’s generally a lot of things you’d rather be doing than reducing the cost of your Sorcerer’s Apprentices by one Mana and if you are being pressured throughout the game, which is the way to beat an OTK-style deck, “seven Mana, do nothing” means you will get killed faster. 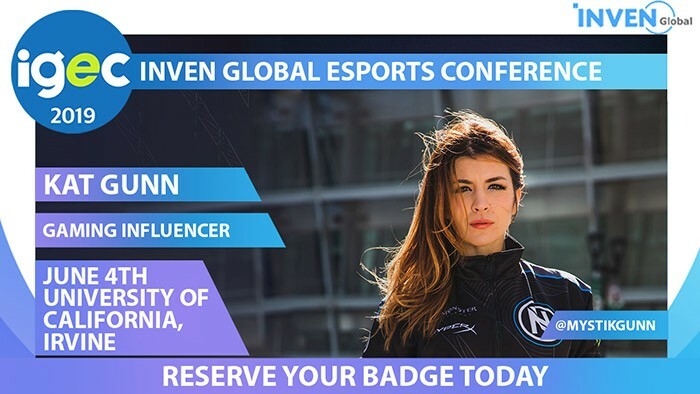 The natural fit for the card would be in an Elemental Mage deck that utilizes the power of Frost Lich Jaina but, if you’re behind, you don’t really want to play this card and if you’re ahead you’d rather continue to push your advantage through the natural strength of the Elemental-synergy minions. There is also the unknown as to how often you’re going to get the card in your hand, if you’ll have an opening to play it and if you can come back from putting yourself in a hole by playing the card. Color me skeptical. The tools are there to make this card powerful. 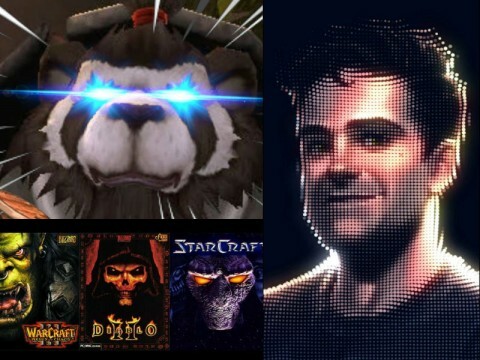 Lab Recruiter, Pogo-Hopper, Academic Espionage and Fal’dorei Strider are all exceptional cards that can prevent yourself from having no deck as grueling as it sounds. 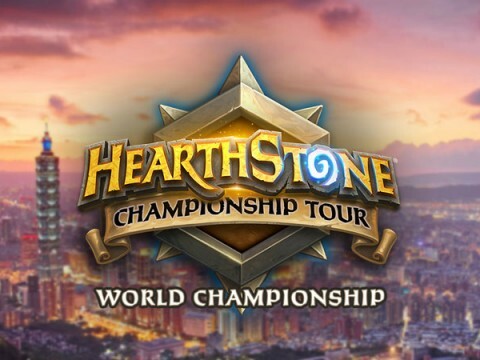 I can see a world in which a player pumps numerous 4/4 Spiders into their deck with Fal’dorei Strider then plays Myra’s Unstable Element to have a full board’s worth of minions, using Lab Recruiter to add cards back into your deck and continue this cycle by churning out spiders or mechanized rabbits on pogo-sticks. It’s a very all-in strategy that revolves around executing your combo and killing your opponent soon after. The problem? 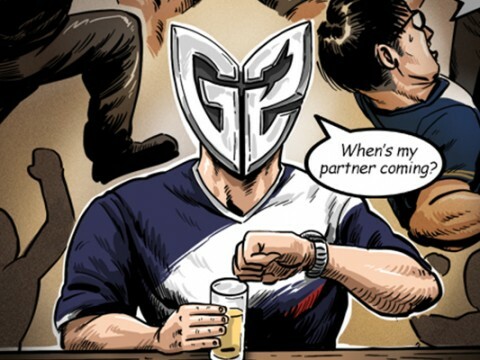 The meta. Currently, there are quite a few decks and classes that can hold off Rogue’s aggression, stabilize then punch back. 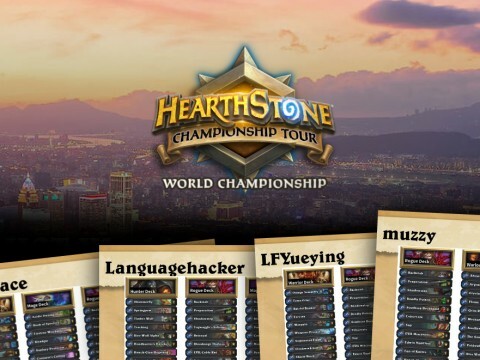 Warrior has always had resources to do so, Druid has off-the-charts Armor gain and Warlock and Paladin can simply aggro the deck down while forcing the Rogue to back-peddle and play defensively. A deck style that revolves around this card has the potential to punish a few classes who simply can’t keep up but with the prominence of Druid and their Armor gain, seeing this deck at high-level play could be tough.